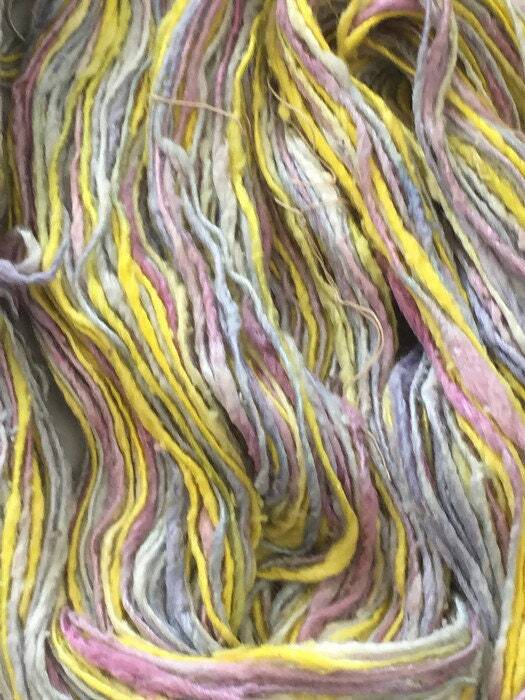 I hand-dyed this thick and thin, cotton and rayon yarn. The colors are pale yellow, bright yellow, pale grey, light silver grey, light blue-lavender, light red-lavender, and pink. 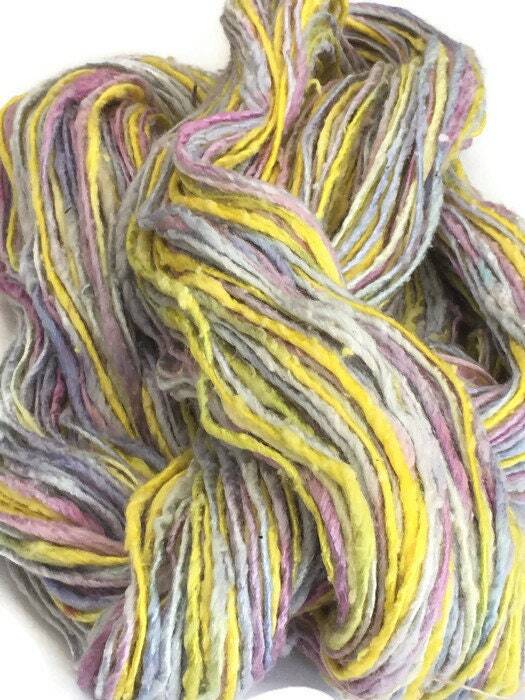 This is a thick and thin, softly spun and tightly spun yarn. It is soft and has some shimmer. 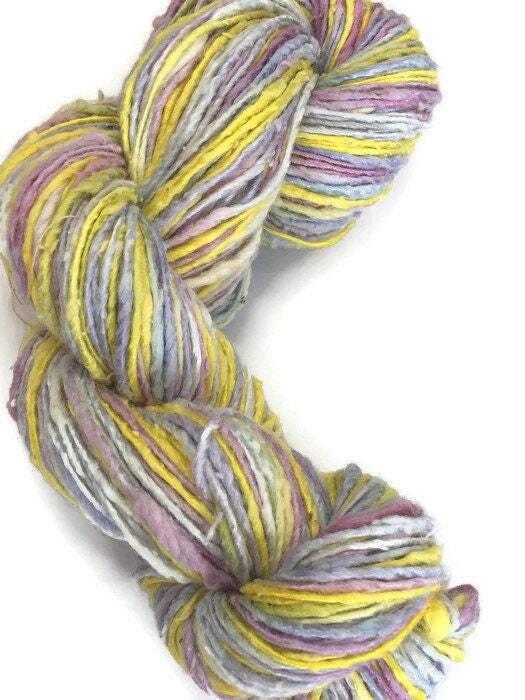 Each skein is 200 yards and weighs approximately 5.0 ounces. 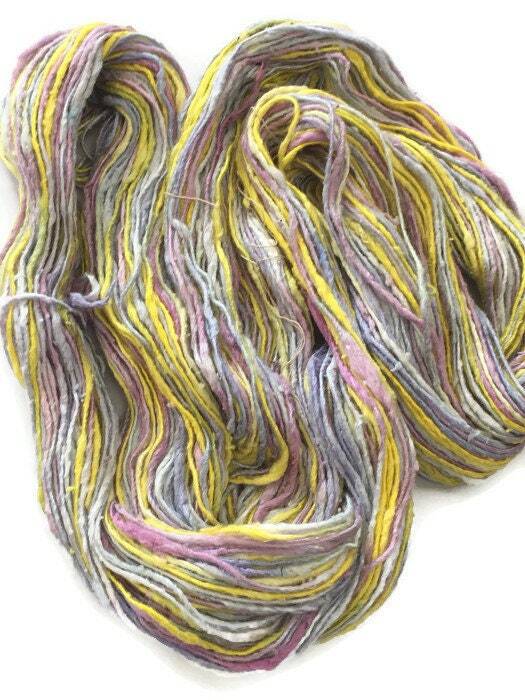 This is a worsted weight yarn and it wraps at 10 wraps per inch. 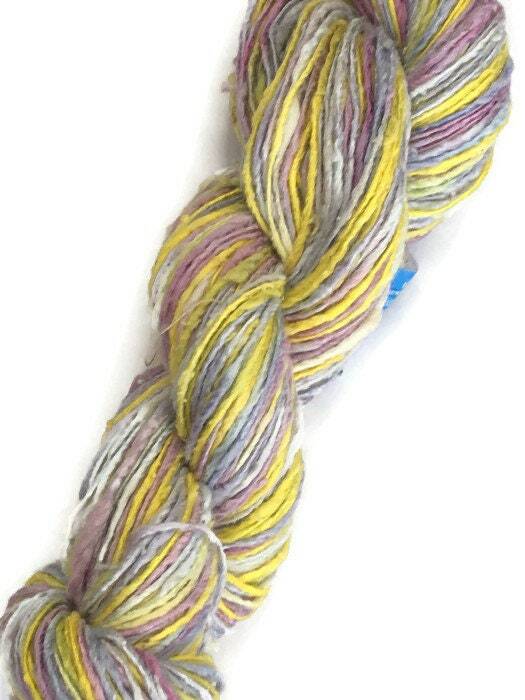 This yarn is also available in a mini-skein of 15 yards. I use color-fast dyes and rinse many times. Since there could still be some excess dye, especially with dark or bright colors, I recommend using a color catcher as needed. Wash with cold water and mild detergent.